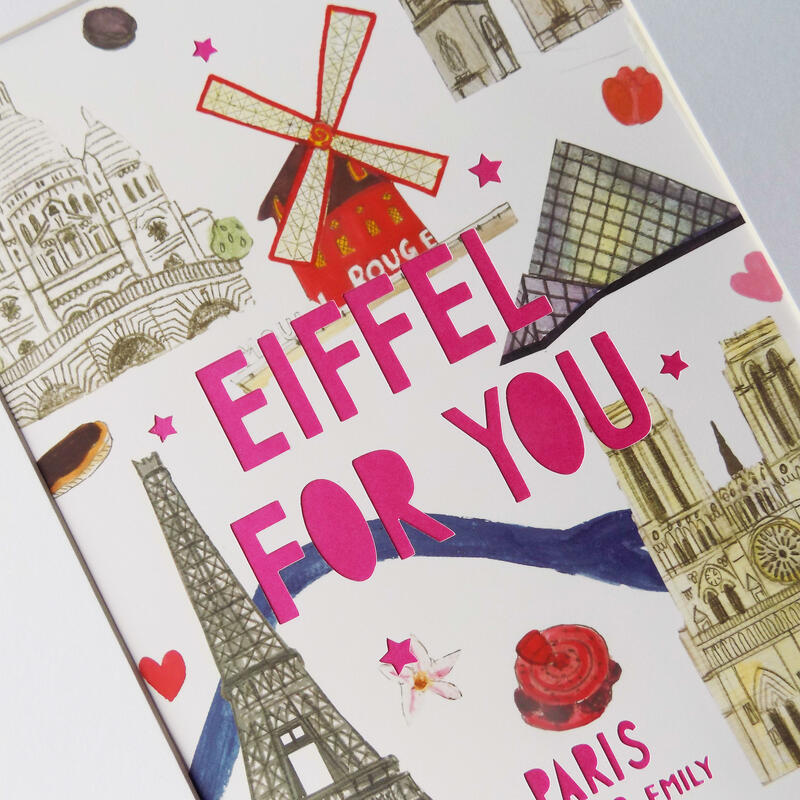 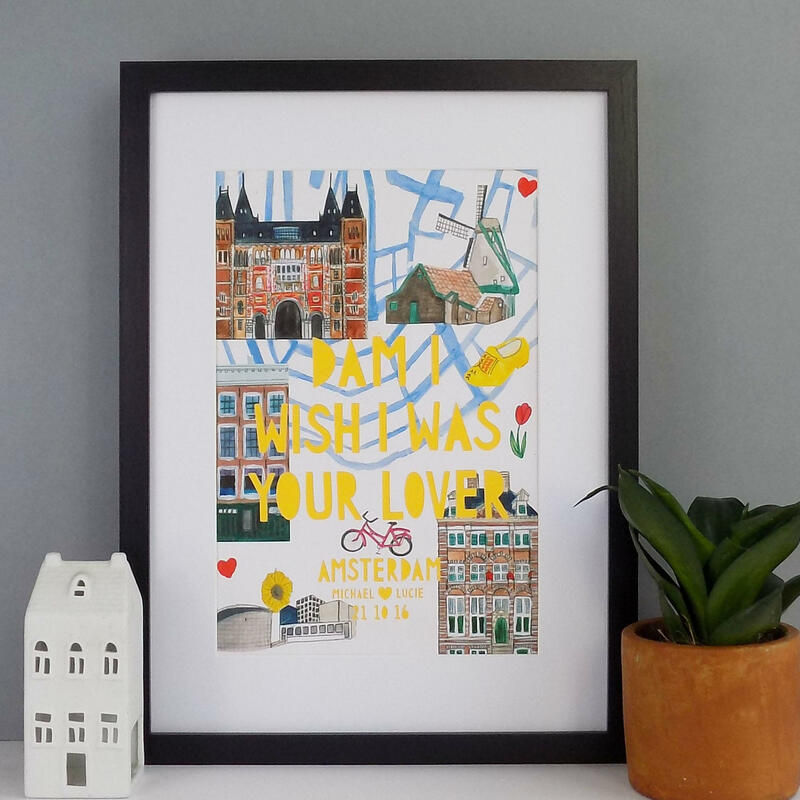 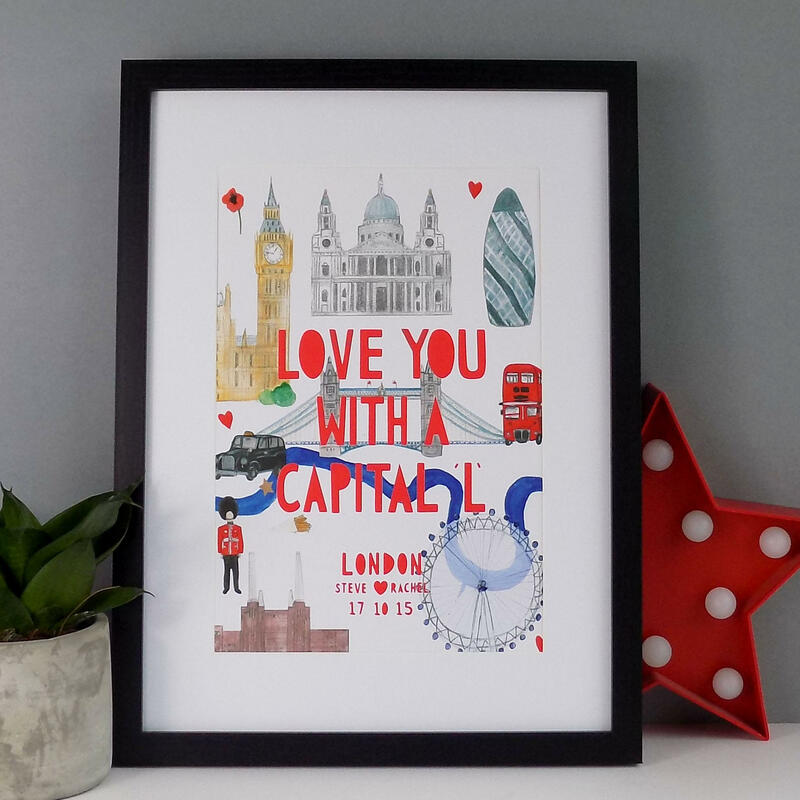 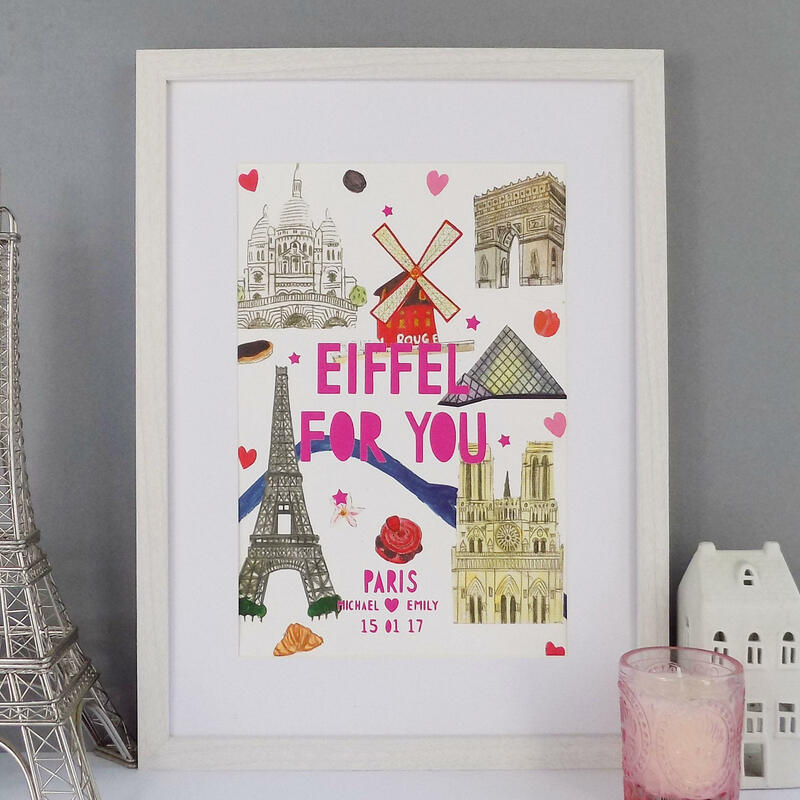 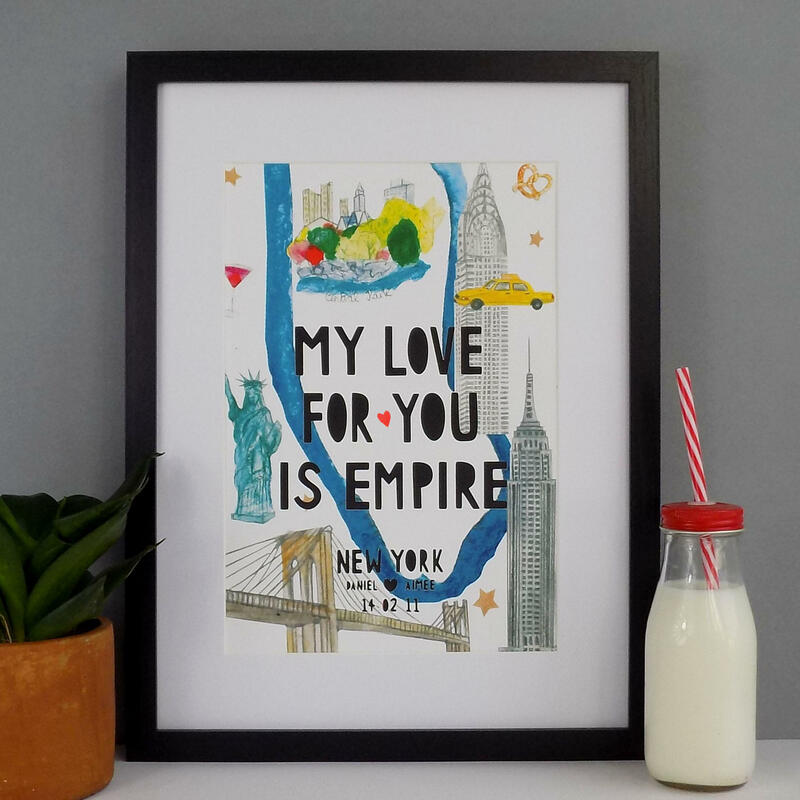 A personalised Paris print that lets you shout your love from the Tour De Eiffel with my illustrative map of Paris landmarks and bright pink typography. 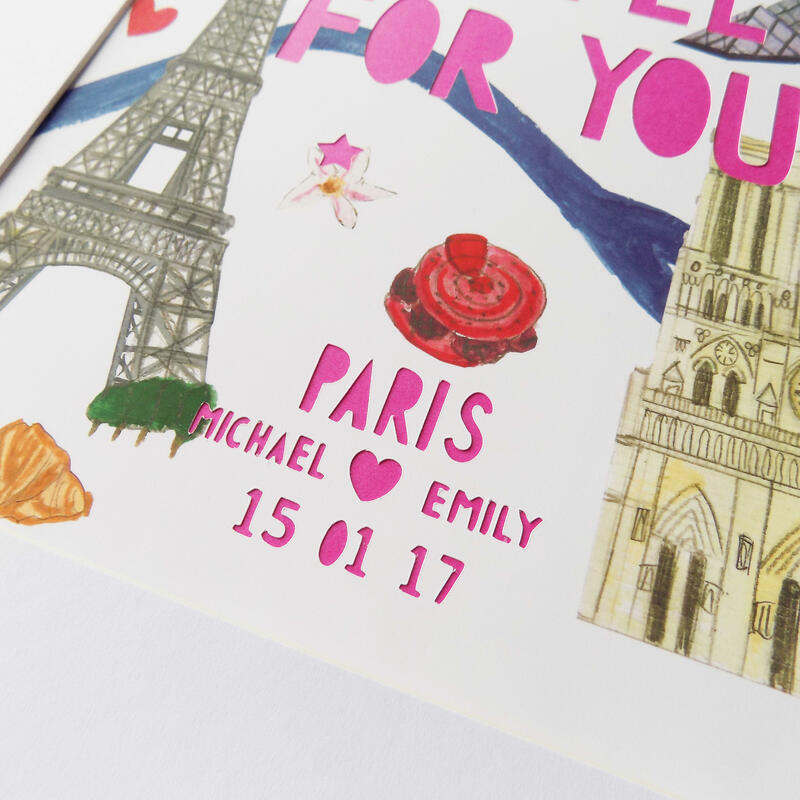 It can be personalised with the names of a couple and their special date. 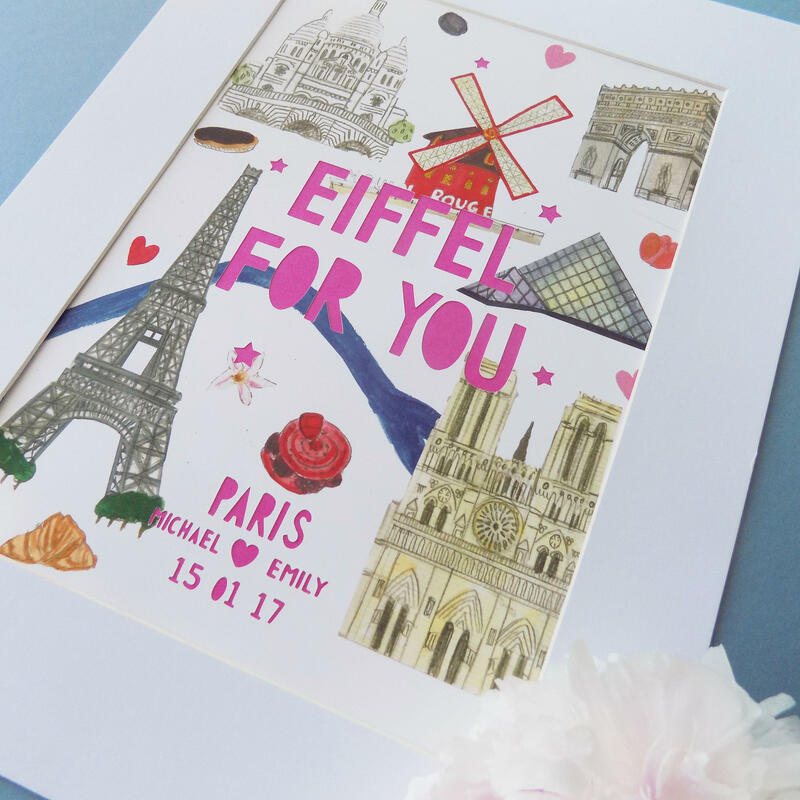 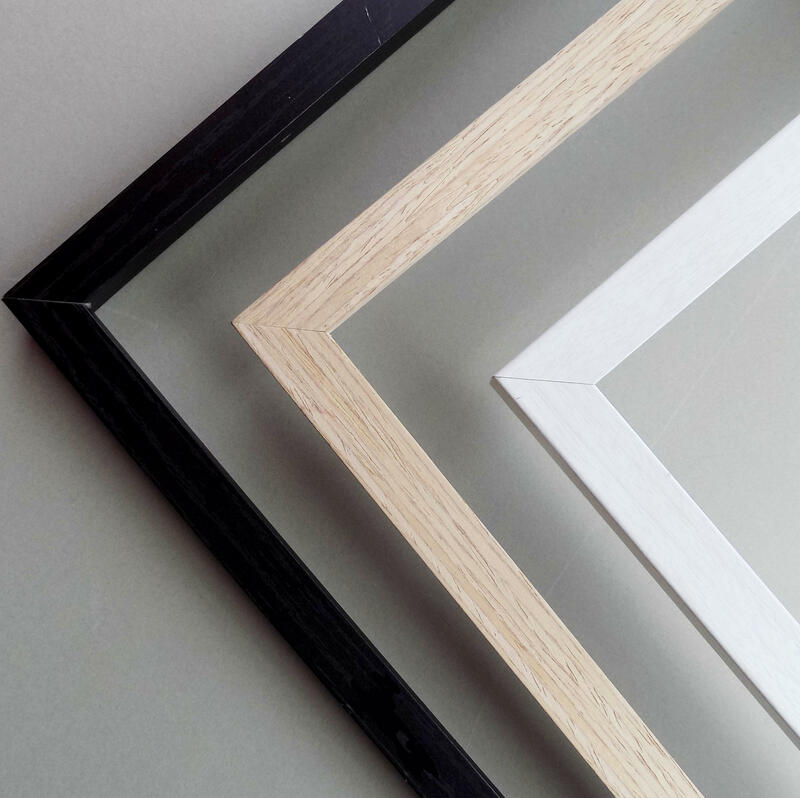 A great gift for any Paris based wedding, honeymoon, engagement or as a Paris souvenir for a new home. 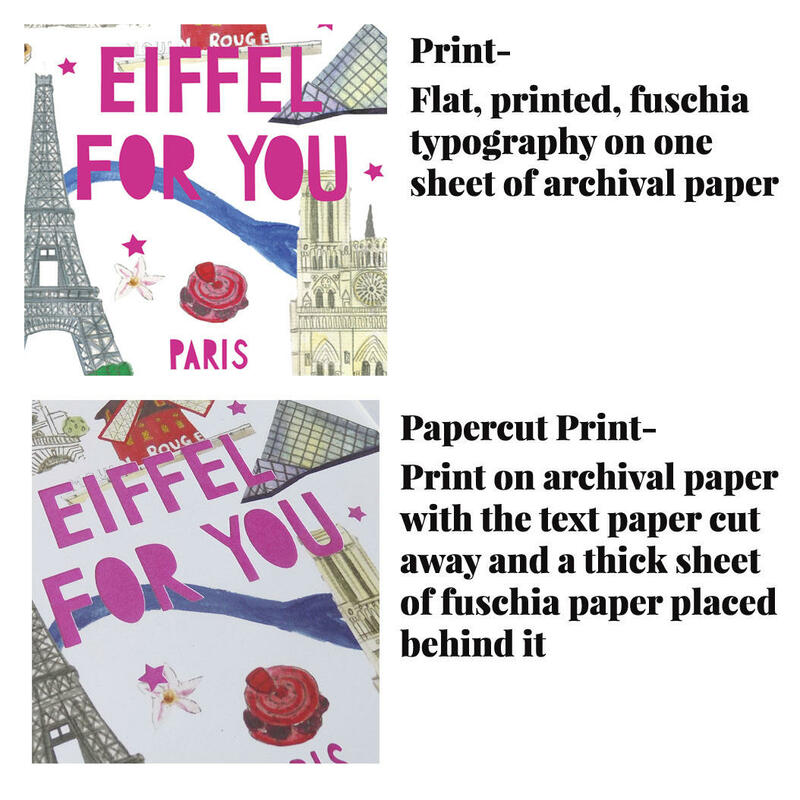 Please leave name or family name in the comments box.